Royal Caribbean announced that Ovation of the Seas, the third Quantum-class cruise ship, will be homeported in Sydney, Australia for the winter of 2016-2017. When she arrives, Ovation of the Seas will become the largest cruise ship to ever sail out of Australia and will also be the most technologically advanced ship in the region. Ovation of the Seas will be the fifth ship in the Royal Caribbean Australian fleet for winter 2016-17, joining four other Royal Caribbean ships:Voyager of the Seas, Explorer of the Seas and Radiance of the Seas in Sydney and Legend of the Seas in Brisbane. 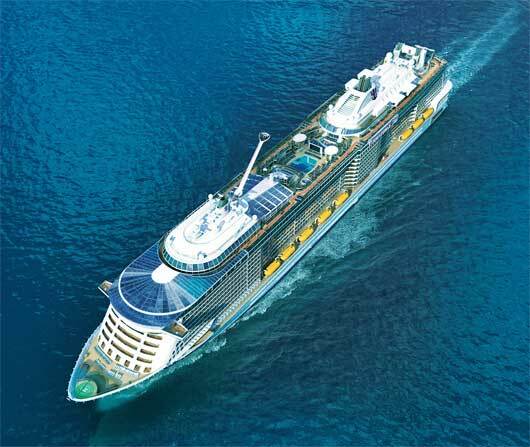 Additional details for the Royal Caribbean’s winter 2016-17 season will be revealed at the end of April.